7 people (all of which were complete strangers to each other); 0 members; and 0 funds… one may believe this not to be the most encouraging foundation. However, behind those 7 individuals was determination, enthusiasm and passion to achieve a goal: connect like-minded students to the HR industry. HR Connect is now a society of 10 executives and over 100 members, dedicated to helping students produce their most employable-self; be aware of job opportunities; connect with HR professionals, and gain knowledge about topical issues and trends in the HR world. In Semester 1, we made our debut at O-Week, gaining over 30 members on our first day. 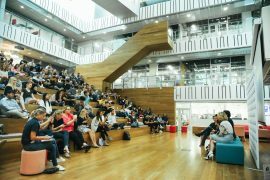 We then hosted a Trivia Night in collaboration with QUT’s Journalism and Media Society – this allowed students to network with each other in a more social context, over pizza and alcohol – a great combination! It was then time to get down to business. 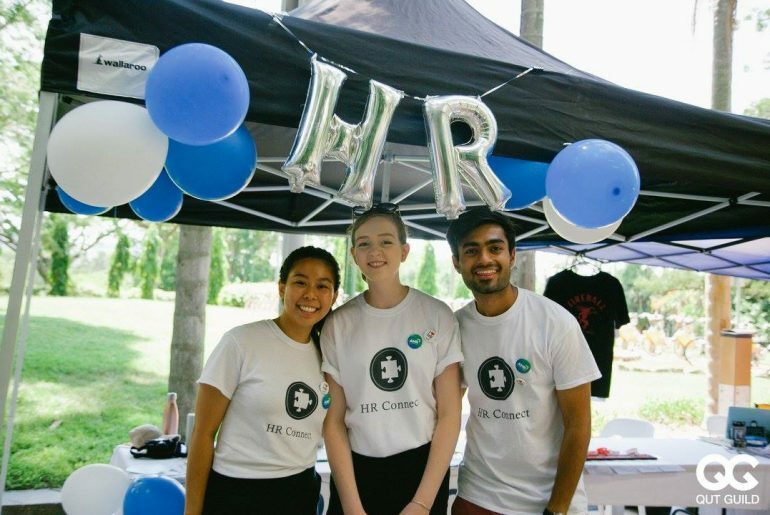 We hosted ‘Career & Connect’ where the Society had two speakers share their tips on Resume Do’s and Don’ts, the dreaded “interview” process and how to build your personal brand. 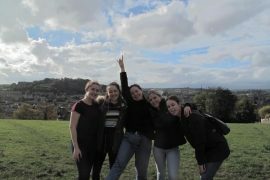 As this event was a great success, we will be holding another in Semester 1 of 2019 – watch this space! Later in the semester, we held an event focussing on ‘Change Management’ – a key issue faced by many HR professionals. This session allowed our speakers to share their experiences and welcomed students to ask questions or to share their own personal experiences. Then, Semester 2 hit. 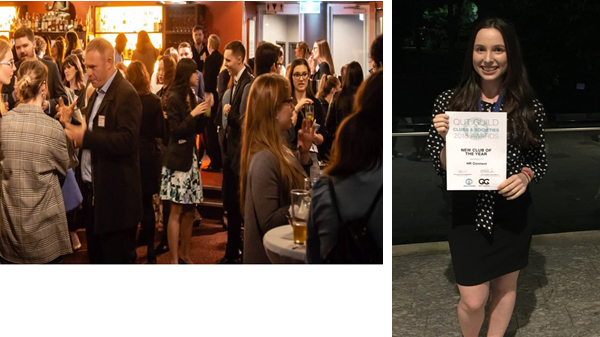 HR Connect, in collaboration with QUT’s Psychology Society, held one of the largest networking events that there ever was… that may be an exaggeration but believe us, people, it was BIG. 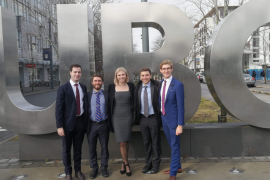 Human Resources and Psychology go hand in hand, so putting these students together was a recipe for success. Finally, we hosted a Graduate Mixer where past students shared their experiences as entry-level employees and tips on how to score your dream job – well, entry-level “dream job” – everybody has to start from somewhere! And to top it all off, we won the ‘Best New Club Award’ from QUT’s Guild at the 2018 Club Awards Night. And that’s a wrap, 2018! Come say hello at QUT’s Garden Point Campus’ Orientation week on Monday and Tuesday (18th and 19th February)! Or, if you have any questions at all, please email us at quthrsociety@gmail.com.